Sophie Karthäuser completed her studies with Noelle Barker at the Guildhall School of Music & Drama in London, with the financial support of the British Council and the Belgian Foundation for Talent. Sophie has collaborated with prestigious ensembles and orchestras, such as: The Academy of Ancient Music; Les Arts Florissants; La Petite Bande; Les Folies Françoises; Die Akademie für Alte Musik; the Freiburger Barockorchester; and Gewandhaus Leipzig. She also performed under the baton of prestigious conductors, including: Riccardo Chailly, William Christie, Nikolaus Harnoncourt, Thomas Hengelbrock, René Jacobs, Louis Langrée, Marc Minkowski, Kent Nagano, Kazushi Ono, Jérémie Rhorer and Christian Zacharias. She won the public's award at the Wigmore Hall competition in 2003, followed by numerous recital appearances at: the Palais des Beaux-Arts and La Monnaie in Brussels; the Vlaamse Opera in Antwerpen; the Cologne Philharmonie; and the opera houses in Lille, Nantes and Bordeaux. She performed with pianists Graham Johnson, Eugene Asti, David Lively and Cédric Tiberghien, and interpreted the Spanisches Liderbuch with Stephan Loges in Strasbourg. She made her Mozart debut as Pamina (Die Zauberflöte) conducted by René Jacobs at the Theatre Royal de la Monnaie in Brussels and Susanna (Le Nozze di Figaro) with William Christie at the Opéra de Lyon. 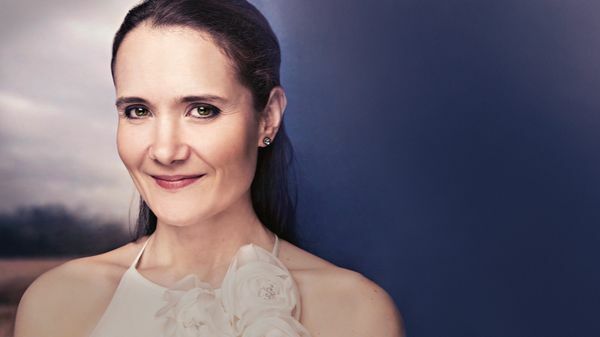 She has since interpreted several Mozart roles, including: Tamiri at Théâtre des Champs-Élysées; Serpetta at the Berlin Konzerthaus; Despina and Zerlina at La Monnaie; Ilia at the Aix-en-Provence Festival and with Jérémie Rhorer in Paris. She recently performed La Calisto (title role) with Christophe Rousset at the Théâtre des Champs-Élysées; a large project dedicated to Rameau in Aix en Provence with William Christie and American choreographer Trisha Brown; Fidelio (Marzellina) with Kurt Masur; Der Freichütz (Agathe) with Sir John Eliot Gardiner; Le Nozze di Figaro with Robin Ticciati in Glyndebourne; La Finta Giardiniera (Sandrina) with René Jacobs at the Theater and der Wien and in Madrid; Der Freischutz in London; Orlando in Brussels; Les sept dernieres paroles du Christ in Beaune.